Applications: MAZDA3 MPS, MAZDA6 MPS, MAZDA Protege, MAZDA Miata, Mazda3, Mazda6, Mazda CX-7, Mazda RX-7, Mazda RX-8 and others. 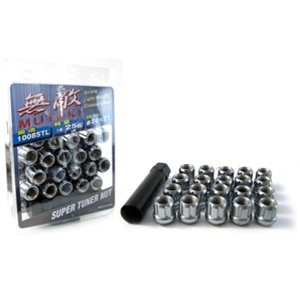 Notes: Lug Nut Set contains 20 lug nuts M12 x 1.5. The Muteki Lug nuts are strong, light weight and compact size.